After playing five sold out shows at the Forum in Los Angeles, The Rolling Stones moved up the California coast for two shows at the Cow Palace in San Francisco. Less well known than the LA shows, the two Cow Palace concerts are very loose affairs with the same energy as the previous week but with mixed results. One can tell during the first show that they expended a lot of energy in Los Angeles. But they are both nonetheless very fun shows to listen to. And they are very good for confirming Keith Richards’ asertion that: “I haven’t been on a tour yet where I was bored. At the end of that tour [Tour Of The Americas] we began to look around for dates, because for us it’s just starting to get good because this is a brand-new band for us. It’s got a lot more fire. The last band was too intellectual. Both of the Cow Palace shows were taped by the same taper and both are equally excellent, three dimensional stereo audience recordings that are very punchy and enjoyable. The only real negative is the rumbling bass present in the mix which sometimes enhances the music but other times is distorted and distracting. There are a significant amount of cuts between the songs. Most are non-destructive, but some of them do eliminate some of Mick Jagger’s song introductions and others even cut out the opening notes. The cuts are left intact by Idol Mind which isn’t for everyone’s taste. Other labels dealt with that issue much better. 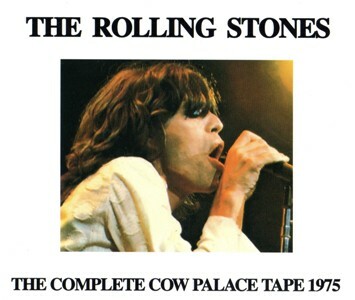 The Complete Cow Palace Tape 1975 is a 1995 release out of Italy with excellent sound quality. The packaging is very simple. The inserts are printed on one side. The front has a simple close up of Mick Jagger and the back a typed set list and these days is very cost effective. It’s a good way to own these shows cheaply. The July 15th show first saw release on the It’s Only Rock And Roll. It was pressed on compact disc on Tour Of The Americas 75 (Digger Production DP 9301-9303), and on It’s Only Rock ‘n’ Roll Part-One TOTA-1975-1 (VGP-036) and It’s Only Rock ‘n’ Roll Part-Two TOTA-1975-2 (VGP-037) and later re-released and remastered as a double CD with the same title and the serial number VGP-036/37. Another independent release is The Rock ‘n’ Roll Show (Stones of Fire SOF 8003). There are cuts between many of the songs, particularly in the second half of the show. Some dialogue missing such as Mick Jagger’s introduction of Billy Preston. There are also cuts at 1:16 in “Wild Horses” and 1:05 in “Rip This Joint.” Idol Mind also has a major tracking error on disc two. “Midnight Rambler” is cut into two and “Rip This Joint” and “Street Fighting Man” are on the same track. It isn’t noticeable while listening to the show, but if you skip to the songs you will. 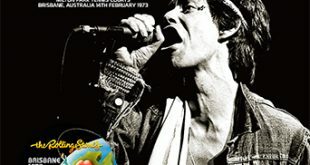 Before “Starfucker” Jagger tells the audience that Keith has “got a problem with his amplifiers” and that the song is “about a girl from New York who got into some very bad ways.” During “You Gotta Move” Billy Preston brings a religious revival fervor to the mix giving the song an interesting dynamic. Charlie Watts plays a bit of a jazz shuffle as an introduction to “Happy.” The first San Francisco show has a version of “Doo Doo Doo Doo Doo” but these versions with Ron Wood never sound as intense as the ones with Mick Taylor did on the previous European tour. This is the song’s final performance in this tour. A flaccid version of “Fingerprint File” prompts Jagger to complain that he “can’t sing it in the right key” and introduces the next couple of songs as “the part of the show when you grab what you got and feel sorry.” After the Preston set Steve Lawrence, Steve Madaio, Bobby Keys, and Jesse Ed Davis play horns on “Brown Sugar,” “Rip This Joint” and “Street Fighting Man.” An energetic version of “Jumping Jack Flash” closes the show. 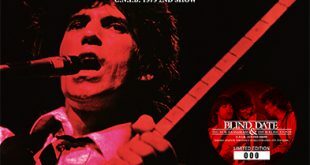 The second San Francisco show can be found in the Tour of the Americas ’75 (Digger Production DP 9301/9302) and Never End (Stones of Fire SOF 8004). The sound is slightly more distant than the first night but still very good and enjoyable. There are several cuts between songs but the biggest one is after “It’s Only Rock And Roll” and eliminates the band introduction (excluding Ron Wood). There is a cut before “That’s Life” that cuts out his introduction and the opening notes and several other minor cuts between songs. The tracking problem on disc two, where “Midnight Rambler” is split in two and “Rip This Joint” and “Street Fighting Man” appear on the same track is present on disc four as well. And like disc two, this isn’t noticeable unless one attempts to go to the tracks themselves. It’s not apparent while listening to through the disc. 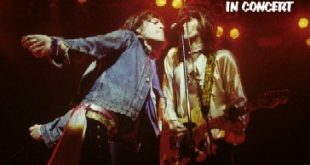 The tape starts with the Copeland leading into a more energetic “Honky Tonk Women” and a version of “All Down The Line” played in double-time breakneck speed. It seems as if the band knew they were lackluster the previous evening and were determined to deliver a better show. “If You Can’t Rock Me / Get Off Of My Cloud” provides another point of excitement early on in the show. There is a short delay in the show after “Starfucker” and when they start “Gimme Shelter” Mick forgets some of the words in the first verse. “You Gotta Move” again showcases Preston’s gospel leanings. The transition into “You Can’t Always Get What You Want” is seamless and Wood plays heavy metal guitar hero in the song’s long solo. “Fingerprint File” hits the funk beat hard and Wood resurrects his metal style guitar in the middle. 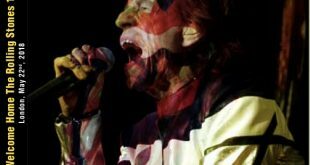 “Midnight Rambler” sounds very long and insidious in this recording, as does a vamped up “Street Fighting Man.” Jagger thanks San Francisco at the end of “Jumping Jack Flash.” Neither of the two shows were given the extra “Sympathy For The Devil” encore as in Los Angeles and New York. The Complete Cow Palace Tape 1975 is packaged in a fatboy jewel case with very simple, one sided inserts. The front cover features the close up of Mick and the back has a simple set listing and venue information. At the time of release, to coincide with the twentieth anniversary, this was a very good release. But subsequent releases probably corrected the mistakes on this one. However, this is a very affordable way to pick up these shows.